Sorry for the hiatus in posts as of late. 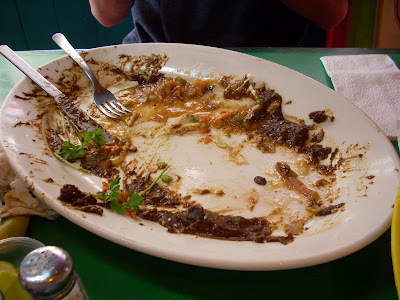 We have been traveling from Baja Mexico to the Gulf Coast of Florida and many places between. 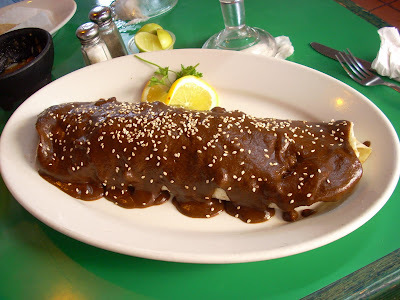 We will be posting a recipe in the very near future, but for now I will leave you with a picture of the biggest burrito, covered in mole, I have ever seen. It was in the neighborhood of sixteen inches. Thanks for staying in touch while we have been away and Merry Christmas. Wow! That looks like an incredible burrito!